Hang in there. 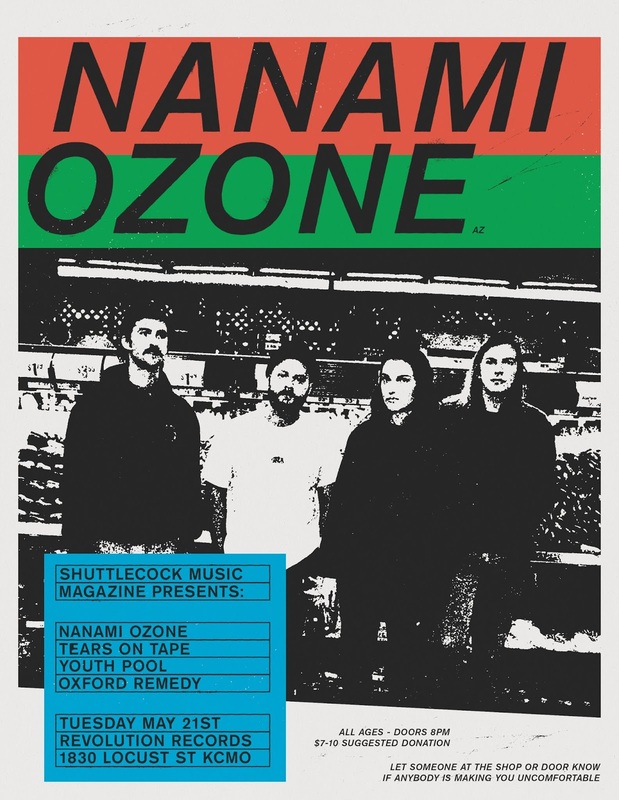 Things may not feel okay right now, but whichever member of Nanami Ozone was writing the lyrics on their new album, "NO," probably wasn't feeling okay either. And soon, you'll be able to see them live in your city. The Phoenix, Arizona band's massive, moody shoegaze sound is one that is sure to command every inch of your attention in the live setting. See them on May 21, 2019 at Revolution Records (1830 Locust St., Kansas City, Missouri). Support will include Houston dream pop crew Tears On Tape and local favorites Youth Pool and Oxford Remedy. Doors open at 8 P.M. and music starts at 8:30 P.M. The show is all ages. Suggested donation is $7-10 (two touring bands), but nobody will be turned away due to a lack of funds. Click "going" on Facebook, please. Invite your friends, please.